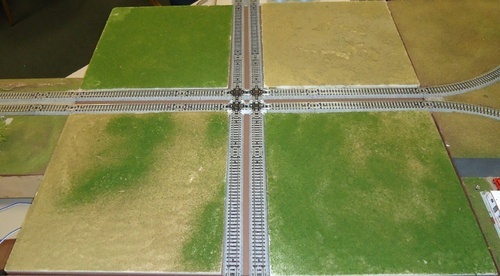 Description: The plan for this module is on Paul Musselmann's Unofficial T-Trak Website and is credited to Bryan Heil. 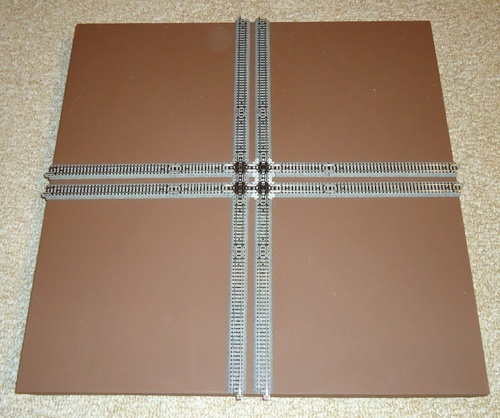 The inspiration to build this module came about after Mike Moore designed a layout using this module. A minimalized version of his layout is depicted in the third picture. 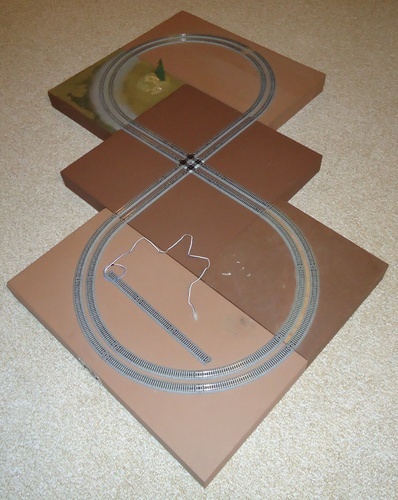 Also shown is a double track figure 8 layout. 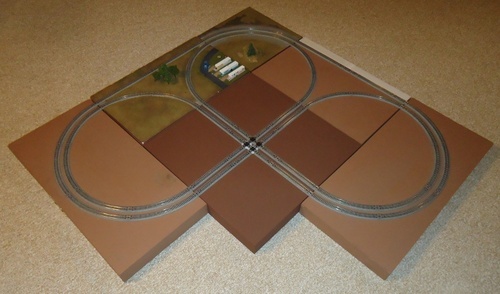 The most interesting aspect of this layout is that even though it consists of standard T-Trak modules it is essentially one track. Follow the track and you will prove to yourself that a train will follow the outer loop until it passes to the inner loop across the 90 degree crossings and then back again to the outer loop. Look Ma, No Switches!